Interestingly enough, less than three years after Sony and Microsoft launched the PS4 and Xbox One (and less than four years after Nintendo launched the Wii U), we find ourselves on the cusp of major new hardware launches from all three companies. Coming as this does on the back of the previous generation, which largely lasted for a decade (the Xbox 360 was supported from 2005 through to 2016, the PS3, which launched in 2006, is still supported, and has major game support lined up to at least early next year, and the Wii, which also launched in 2006, was supported through 2013, and is still officially sold), there’s a bit of a whiplash here- new hardware from all three already, just a couple of years after we invested hundreds of dollars buying their newest consoles? It is hard to shake off the feeling of disappointment, if you think about it, and it becomes very clear why soon enough: three years after this generation began, it seems like Microsoft, Sony, and Nintendo are already looking at kicking off the next one. All three of them are launching new hardware, which in Nintendo’s case is substantially unlike anything that has come before, in Microsoft’s case is substantially more powerful than their current console, and in Sony’s case, represents a modest upgrade over what we already had. That’s basically a new console generation right there- in fact, those descriptions could very well be used for the Wii U, PS4, and Xbox One, if you think about it- the Wii U being unlike anything they had done until then in the console market, the PS4 being a major leap over existing consoles, and the Xbox One being a more modest one. If these consoles counted as a generation break – and they did – then by any and all accounts, so should something like the Xbox One Scorpio. Certainly, there has been some attempt at damage control on all sides to placate the millions of customers who could potentially be burned by new hardware launches so soon- for instance, Microsoft have gone to great lengths to assure players that the Scorpio will maintain full compatibility with the existing Xbox One and Xbox One S, and that it represents not the ‘next generation’ Xbox for them, but the start of an entirely new paradigm- the start of a console market without discrete hardware generations. "Microsoft have gone to great lengths to assure players that the Scorpio will maintain full compatibility with the existing Xbox One and Xbox One S, and that it represents not the ‘next generation’ Xbox for them, but the start of an entirely new paradigm- the start of a console market without discrete hardware generations. " However, there is a contrary argument to be made here- at least in the short run. While eventually, we can definitely see the console market transitioning to continuous hardware platforms, with no discrete generational breaks, until that new paradigm is in place, we have to apply the current one to all products available on the market. And if we do that, then the Scorpio comes out of the equation as a next generation machine. Once the Xbox One Scorpio is viewed through this lens, it becomes clear that there is in fact a rather substantial argument to be made for it being a next generation machine, moving beyond the existing Xbox One already. "For Microsoft, the desire to move on from the Xbox One makes sense- the console, in spite of their best efforts and a belated and modest recovery, has largely been a failure, and has failed to sell or command support in the way that the generation defining Xbox 360 did." For Microsoft, the desire to move on from the Xbox One makes sense- the console, in spite of their best efforts and a belated and modest recovery, has largely been a failure, and has failed to sell or command support in the way that the generation defining Xbox 360 did. For Microsoft, then, the throw of the gauntlet is to again have the most powerful system on the market for developers to target- and hence the Scorpio. It also helps that by the time the Scorpio launches, the current Xbox One will have been on the market for four years- and four years was how long Microsoft stuck with the original Xbox before they rushed ahead to the Xbox 360. Four years has also historically been the lifespan of other systems on the market, including the Sega Saturn, and also highly successful ones such as Nintendo’s Gameboy Advance. The argument is easy, then, to follow in terms of power and in terms of the time period- but things get a bit messier when we move into the other two identifying traits of a new generation machine. For instance, the Scorpio, for all of its increased power, is ultimately just an improved Xbox One, right? 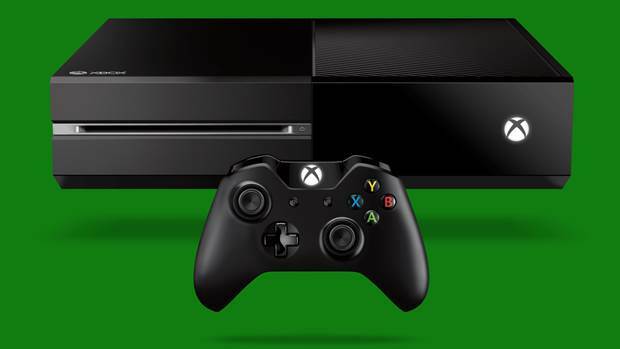 What exactly does it do that existing Xbox One units do not? 4K graphics and HDR are great, but they’re just the same thing that the Xbox One does, done better. 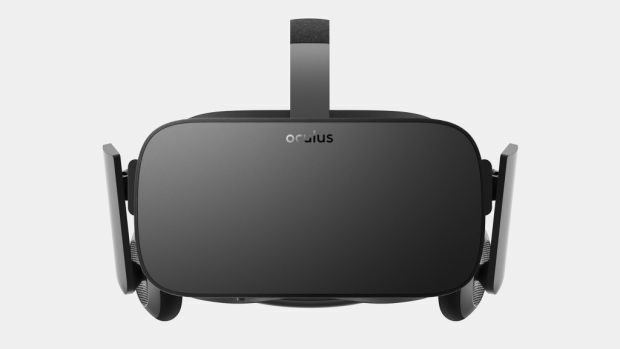 The answer to this argument lies in VR- in spite of wonky workarounds for VR on the Xbox One, the fact remains that the console cannot render in VR to any meaningful capacity. Microsoft themselves admit this, noting that the reason to create the Xbox One was to deliver true VR gaming in the first place. VR is important- while so far it has failed to take off, there is no doubt that it is a promising and potentially game changing paradigm for the medium, unlike anything that traditional gaming has to offer us. The Scorpio is the only Xbox on the market that can deliver a VR experience- it is beyond the Xbox One and even the mildly turbo boosted Xbox One S to be capable of something like that. "The Scorpio is the only Xbox on the market that can deliver a VR experience- it is beyond the Xbox One and even the mildly turbo boosted Xbox One S to be capable of something like that." VR is also ultimately the answer to exclusive Xbox One Scorpio games- Microsoft have been very clear and emphatic with their insistence that the Xbox One S will not have any exclusive games of its own, that the games it runs will also all be playable (albeit on lower specs) on existing Xbox One systems. This is admirable, but they have allowed themselves one caveat, one exception to this self imposed rule- VR. They have admitted that the Scorpio will have exclusive VR games. Presuming that Microsoft’s VR push does take off, the Scorpio will have a large library of VR games that will by definition be unplayable on existing Xbox One systems, simply because existing Xbox One systems are incapable of running VR. At the same time, Microsoft also cannot afford to alienate the 20 million or costumers who have already purchased an Xbox One– more than the same number of people who purchased the original Xbox, it is paramount for Microsoft to ensure that these customers do not feel alienated. Unlike with the original Xbox, the Xbox One was extremely overpriced, underpowered, straddled with gimmicks, with little to no exclusive support, and poorer versions of third party games- customers who still stuck with the system represent Microsoft’s most loyal base, and they deserve to be rewarded, not cut off in a mad dash to a new system. 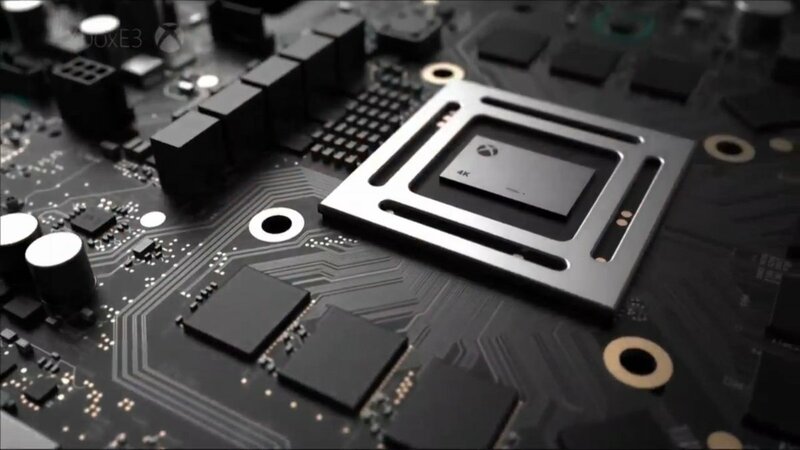 This would be a predicament, but Microsoft’s farsightedness in going with the x86-64 hardware platform base for their console with the Xbox One ensures that even after Scorpio launches, the Xbox One itself can come along for the ride- at least for a while. In terms of system lifespan, and power jump for consoles, and even in Scorpio exclusive games, which at this point are confirmed, then, the Scorpio, too, makes a compelling argument for being a ‘new’ generation. Viewed in this light, then, it is clear to see that the Scorpio has some very strong and very compelling arguments that can be made in favor of it being a next generation machine. This is in spite of the fuzziness that this transition brings to the table. There will be those, for instance, who will argue that the intercompatibility between the Scorpio and the Xbox One precludes the Scorpio being a generational transition- but was the PS4 not a next generation system, even though there are over a hundred games (digital and retail combined, just to be clear) that it shares with the PS3? Was the PS2 not next generation simply because it had full backwards compatibility with the PS1? Was the Wii U not next generation, simply because it allowed all users to use their existing controllers, peripherals, and accessories on the new system? Intercompatibility is not an argument against the Scorpio being a next generation system- and in fact, with Xbox (and PlayStation) having moved over to the x86 platform, intercompatibility is basically a given for all generational transitions going forward. "A lot of these irregularities are an artifact of the fact that the move to x86 (or allegedly ARM in Nintendo’s case) will lead to a constant cycle of iterative console upgrades that will lead to the end of discrete console generations as we understand them eventually." Of course, a lot of these irregularities are an artifact of the fact that the move to x86 (or allegedly ARM in Nintendo’s case) will lead to a constant cycle of iterative console upgrades that will lead to the end of discrete console generations as we understand them eventually. That will happen in the future, maybe 4-6 years from now- but until it does, we are stuck with the current definitions and understanding of the market, where generations do apply. And while there may be some irregularities with this generational transition – and really, when are there not any irregularities (for instance, was the TurboGrafx-16 of the NES era or the SNES one? What about the Nintendo 64, did it belong to the 32 bit generation, or was it a generation ahead of them? Did the Wii belong to the Xbox 360 and PS3 generation, or the Wii U to the Xbox One and PS4 one?)? – on the whole, arguments against the Scorpio representing a generational transition are rather facile and deliberately ignoring the forest for the trees, in a refusal to step out of the established status quo, the comfort zone. The disappointment in this case, then, is that we’re already lining up for a new generation so soon after the current one started- and it doesn’t help that this current generation could argued to be very disappointing from a games perspective too, with the quantity of great games, as well as their quality, definitely having declined with respect to previous generations. And yet, with the Scorpio (and Nintendo’s NX as well), a new generation of consoles is beginning- and it may be the last one, before rolling hardware upgrades become the norm, but it’s a new one nonetheless. Even as we prepare ourselves for what lies ahead, however, we must look at the current generation that’s about to end, and ask ourselves the singular, pertinent question: was this it?